The insanely popular picture app has developed a pair of sunglasses, but not just any sunglasses. Snapchat glasses! Yes, no longer do you have to hold your phone up to film your cat being funny like a crazy person. Simply aim your head the direction you want to film and presto! 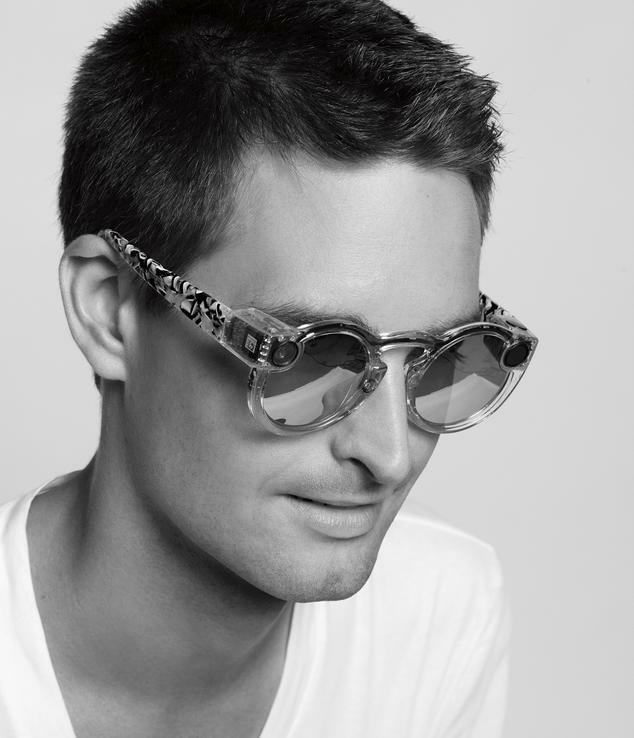 Evan Spiegel introduced these little glasses to a room of techies last week. They are expected to be sold this fall; however, in very limited release. You can grab a pair of Snapchat glasses for only $129-. The Snapchat founder says these have a wider angle lens than your average smart phone and capture images just the same as your own two eyes. He himself says he tested them out on a hike with now fiancée, Miranda Kerr. He said when they returned to base he looked over the footage and it was as close to reliving the moment as he’s ever seen. Who wouldn’t want to relieve a moment with Miranda Kerr…. Will these pack a punch, the punch that Google wanted with their bomb known as Google Glasses? Or will they fall short too? I could see these things being a toy and nothing more, that’s exactly what they are. They are glasses that have a camera on the frames, tap a button and they upload 10 second spurts of video right to your Snapchat. What we haven’t seen yet are pieces of info like battery life, megapixels, zoom, durability. These are all things that can help or hurt their device. They’ve never had to deal with making a camera before, only attaching their app to one.